And another Catriona Shearer puzzle. 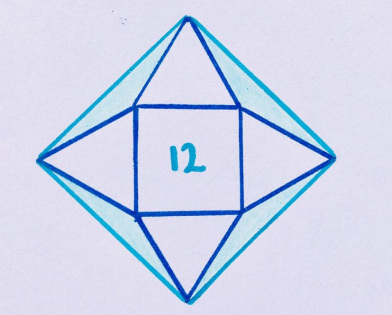 Four equilateral triangles are arranged around a square which has area 12. What’s the shaded area? These divide the four triangles into four pairs of right triangles. Four such right triangles can be arranged around the inside of the center square: and you’re left with a tilted square in red. What’s its area? Well, clearly a side of the red square is equal to the difference between the long and short legs of a right triangle. But also clearly, half the diagonal of the original central square is also the difference between the long and short legs of a right triangle! 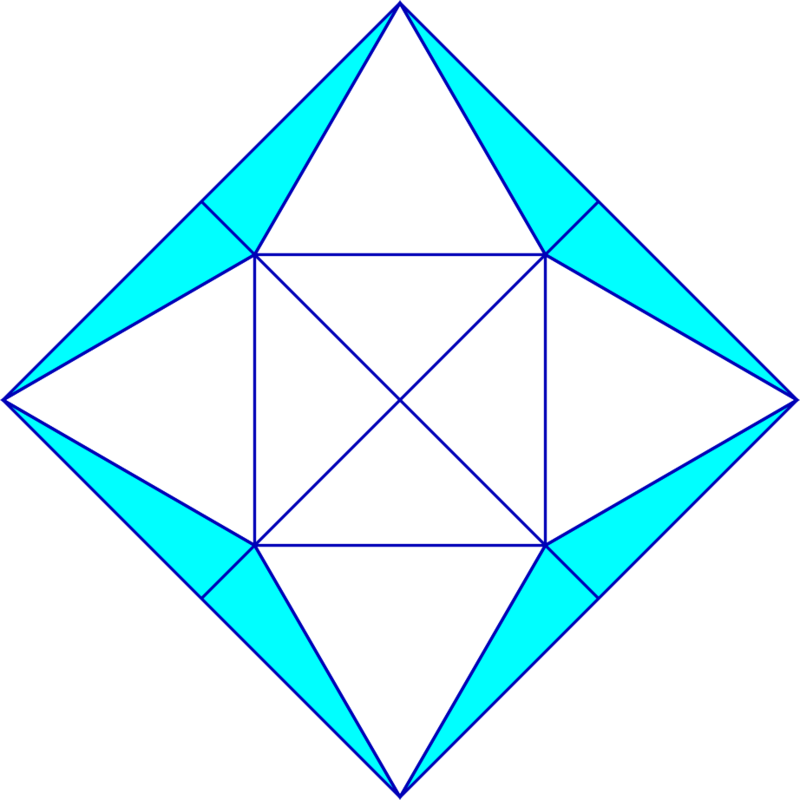 That means the area of the red square is half the area of the original central square, meaning four right triangles also are half that area, or all eight right triangles are equal in area to the central square: 12.